Q – If I change a portrait report to landscape, rows are missed off the generated report. At the bottom of the report template, there is a report element starting with ‘Footer_’. This is used by the report to know where the bottom of the page is. If you simply change a report from portrait to landscape, this element will not longer be on the page and visible. To fix this, before you change the report template from portrait to landscape, move the footer elements to the middle of the page. Then you can change the template to landscape and then reposition the footer elements at the bottom of the landscape page. Q – When I drag a gobo from the gobo library to the wheel, the gobo does not appear on the wheel. Gobos on a wheel are matched by the gobo catalog and reference. Normally the reason a gobo will not appear is that the gobo size of the wheel (defined in the fixture profile) does not match the gobo size of the gobo. A gobos reference (part number) is usually assigned to a particular size or shape of gobo by the manufacturer. The matching is designed to stop you using a gobo reference for say a VL2500 Spot fixed wheel (which is a paddle shaped gobo) on a different fixture type that will not accept the paddle shape. Q – When I try to ‘Set First Used Cue’ for presets/channels, nothing happens. The ‘Main Cue List’ must be set in the applications Preference dialog to the shows main cue list. 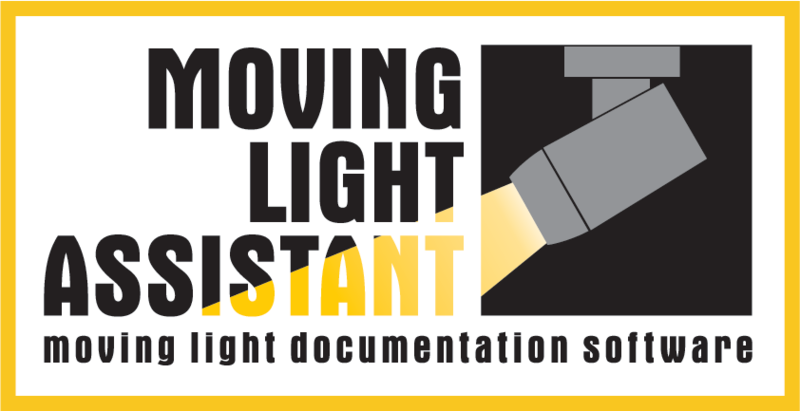 Q – Can I document conventional channels in Moving Light Assistant ? The best way to document conventional channels in Moving Light Assistant is to add the channels you wish to document into a Group, or series of groups on the console. Once the data has been imported into MLA, you can add a Group instead of a Preset in the Preset Documentation view. The Group added will behave in the same way as a Preset, so all the channels in the Group will be listed and you can add your own focus notes and photographs for each channel.